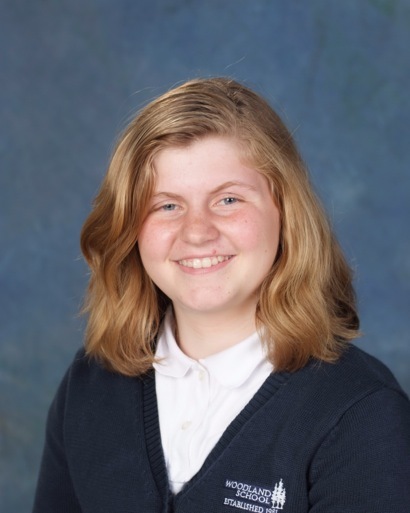 Alexa Brown, a student at Woodland School in Portola Valley, has been selected for the 2016 Middle School Honors Performance Series at Carnegie Hall. She will perform as a First Soprano at Carnegie Hall in June 2016 with the Honors Junior Choir. Participation in one of the three Honors Ensembles is limited to the highest-rated middle school performers from across North America and select schools internationally. Alexa auditioned this fall for the Honors Performance Series and was accepted after a review by the Honors Selection Board. Acceptance to the elite group is a direct result of the talent, dedication, and achievements demonstrated in her application and audition recording. She will join other performers from 45 states and Canada. Junior Finalists will spend five days in New York City learning from composer/conductor Sally Albrecht, working with other Junior Finalists, and getting a taste of Manhattan. The Saturday, June 25th performance is open to the public. Tickets can be purchased beginning 60 days prior to the performance through the Carnegie Hall box office. Presented by WorldStrides, the Honors Performance Series was created to showcase accomplished individual high school and middle school performers on an international level by allowing them to study under master conductors and perform in the celebrated venue, Carnegie Hall. Woodland School is a co-educational, non-denominational, independent day school in Portola Valley, serving 270 students in early childhood through eighth grade and their families. This is amazing Alexa. Enjoy.